HAVANA, Dec 30 2013 (IPS) - The landscape is changing in Cuba’s cities and towns, with political slogans giving way to lighted signs advertising the best of local and international cuisine and air-conditioned lodgings – signs of an emerging private sector that was inconceivable until recently. As a result of the new migration rules that went into force in 2013, Cubans made 250,000 trips abroad between Jan. 14 and Nov. 30, according to official figures. Since the migration policy reform scrapped the requirement for an exit visa and a letter of invitation from abroad, well-known dissidents have been able to travel overseas and return without any trouble, after decades of restrictions. In 2011, Cubans had recovered the right to buy and sell their homes and cars, which only the state could do up to then. And on Dec. 19, the government announced that costly, difficult-to-obtain letters of approval from the Transport Ministry would no longer be required to buy a car. Steep prices on the state market are still a hurdle, however. Many people who saved up to buy a car see no real possibility of doing so, because the new prices will be three times higher than what they could afford. Mercedes, a retired 67-year-old office worker who draws a pension of 11 dollars a month and also cares for a disabled daughter, does not feel like the changes have improved things for her. “I can’t survive on my income. My neighbours encourage me to rent out a room, but I would first have to fix up my apartment, and I don’t have the money to do so,” Mercedes told IPS, asking that her last name not be used. “The problem isn’t the slow pace of the reforms, but how they are perceived and how they reach the people,” says Bélkis González, a professional who works in communications. Despite the government’s stated aim that no one will be left high and dry and that there will be no “shock therapy,” gaps and inequalities remain. During the discussions that preceded the reforms approved in 2011 by Cuba’s governing Communist Party, experts warned that the core document should include much more explicit and far-reaching social measures than the ones outlined there. “The text has a totally justified economic focus because otherwise social changes are not possible,” sociologist Mayra Espina admitted at the time to IPS. But she added that it was “somewhat simplistic” to believe that a preferential focus on economic measures would generate positive influences on social questions. According to studies cited by Espina and other experts, the proportion of the urban population who are income-poor and have unmet basic needs climbed from 6.3 percent in 1988 to 20 percent in 2000. That increase in social vulnerability was due to the impact of the economic recession that has had Cuba in its grip since the early 1990s, after the collapse of the Soviet Union and the East European socialist bloc, on which this country was fully dependent. 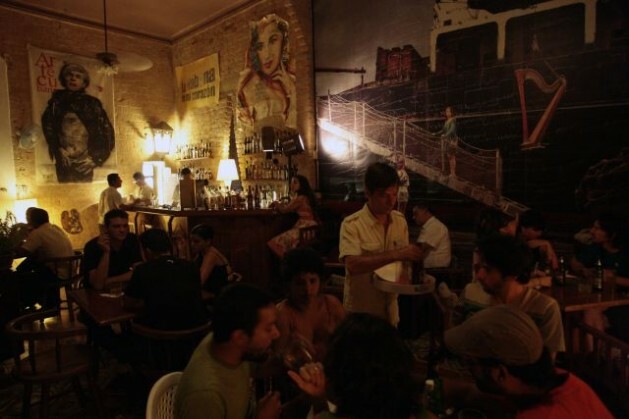 According to the 2012 census, 76.8 percent of the Cuban population is urban. The total number of inhabitants reached 11,167,325 – 10,418 fewer than in 2002. And two million people are over the age of 60. In 2012, the government of Raúl Castro created a subsidy for low-income segments of the population who need to repair or build homes. The measure was seen as the start of a process to subsidise people rather than products. Meanwhile, the government has postponed the elimination of the ration book of subsidised basic food items, a system that cost the state 2.43 billion dollars this year. “It would be decisive to implement policies not only of assistance for the vulnerable,” under the planned reforms, but also “affirmative action” policies to reduce inequality, Espina said. One of the most comprehensive transformations began in agriculture, in 2008. But it has not yet brought results, and food prices remain high, because the productive apparatus is still hampered by the lack of measures to facilitate its development and independence in decision-making, say experts like economist Armando Nova. Now 70 percent of the land is in the hands of non-state producers, who account for over 75 percent of total food production. Among them are cooperatives and private farmers, who hold 24 percent of the country’s farmland and produce over 57 percent of all food of vegetable and animal origin. “In other words, their efficiency has been demonstrated,” Nova said in an interview that circulated over the Internet. More than 440,000 people are now self-employed ‘cuentapropistas’ in nearly 200 different economic activities in which private enterprise is permitted. But the lack of a wholesale market for purchasing the inputs they need, the scant buying power of the great majority of potential consumers, and the heavy taxes conspire against their success. The government apparently wants to develop non-agricultural cooperatives. A total of 270 are already operating or have permits, and 228 are awaiting authorisation. Vice President Marino Murillo explained to parliament that the priority put on cooperatives was due to the distribution of the resources they generate and the social impact of their production. The authorities would like 40 percent of jobs to be generated outside of the government and state enterprises by 2016, compared to just 20 percent of the workforce prior to the advent of the reforms. Another pending issue is the convergence of Cuba’s two currencies, the peso and the Cuban convertible peso (CUC), which is pegged to the dollar. “In no case will people’s purchasing power be affected. The financial capacity of the CUC will be respected,” said Murillo in a message that helped ease the fears of the estimated 60 percent of the population that receives dollars or other hard currency in remittances. But the changes have not been felt in homes like Mercedes’, although like the rest of the population she and her daughter still receive free healthcare, which they could not do without. Cuba still has an, albeit weakening, safety net. And Cubans living abroad have shown, in spades, their generosity. As learned from transitions in other centralized economies, the poor and neo-poor will suffer. New or renewed institutions nurturing working and investment capital flows and consolidating local savings and remittances as well as those enabling community empowerment will begin to emerge. In so doing, these will channel constructively th entrepreneurial and social vivaciousness of Cubans everywhere. Or that energy will find alternative channels. Cubans do not have to fall into the hell on earth lived by most Russians or th savage treatment endured by Colombian or Honduran peasants. But they could–many already advocate a dictatorship (by whatever euphemism it might be labelled by spinmeisters) a la Tropical guinea. Th bottom line: th status quo cannot be preserved. Aware of its massive flaws, many of us would like to see major leadership morphing. But as Russia has shown, après 55 years of strong man politics a citizenry, in its substantive depth, may not exist. Demographically, Cuba could become more Haitian, specially after the current anti-Haitian practices are lifted in response to myopic regional hegemony. Yes, the inequalities highlighted by this article may worsen.